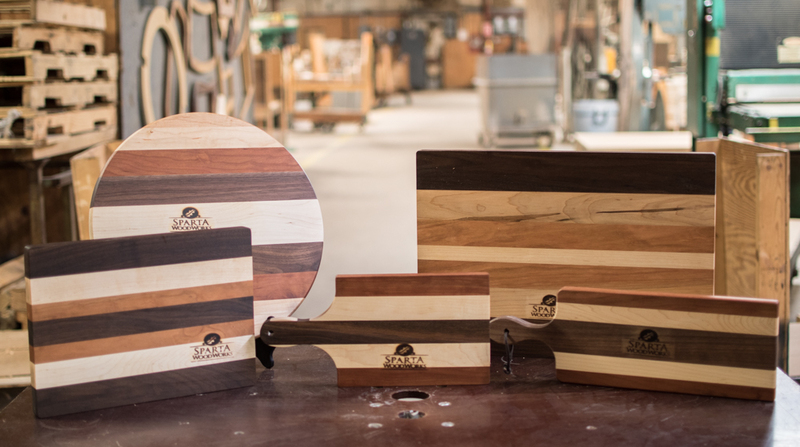 Sparta Woodworks offers a great selection cutting boards and serving boards. Our beautiful cutting boards are made from high quality walnut, cherry, and maple. Each board is sealed with a canola oil finish and comes with instructions on how to maintain the finish. With the great quality of these boards you can expect them to last for a long time. You can purchase these cutting and serving boards by visiting our plant or by contacting us.